نور، ترى العالم بصوتها -- To help support Kerning Cultures, visit our Patreon at . Two bite-sized stories from the Kerning Cultures vault. First, is there really Halal Cart drama in New York? And, we explore an ancient farming practice, modernised in Cairo. 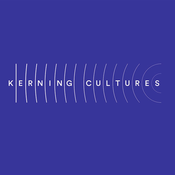 -- To help support Kerning Cultures, visit our Patreon at . In the 1930s, the architect Nasri Khattar tried to completely overhaul the Arabic script &ndash; singlehandedly. For the next 47 years, he worked day and night to implement his writing system, Unified Arabic. Ultimately, he failed. This is his story. -- This episode is supported by L'Hote Libanais. Find out more about them at www.hotelibanais.com.